Whitewater Rafting Terminology – What you need to say to sound COOL! 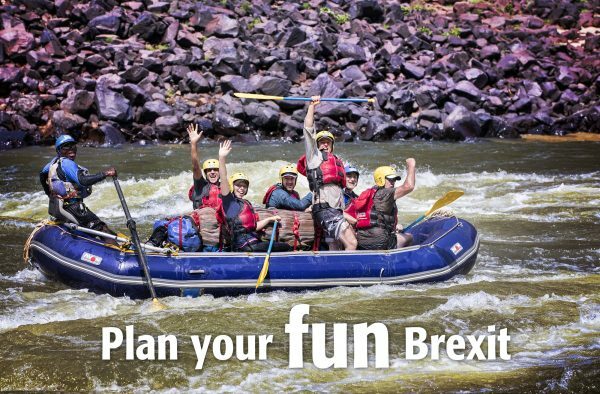 It can be hard when you first go on a rafting holiday to get to grips with what the guides are talking about! So here are a few of the essentials to ensure you’ll know exactly what they are talking about and sound like a “riverguru” by the time you come back home. Put In: The place where you launch the rafts into the river. Guide will give a safety talk before you start rafting and give you paddle instructions. 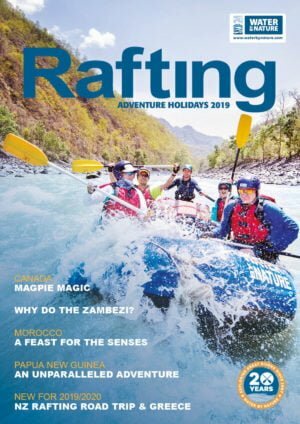 Take Out: The end of the river trip, where the rafts get taken out of the river and plenty of good stories are told. From here you will get transport back to town. Eddy: Water moving back upstream caused by a rock or obstacle of some sort. This is the ideal place to stop river craft. Eddy Fence: The water between the current moving downstream and the eddy. Hole: A river feature where water flows over a rock or obstacle in the river, drops down in the river, flows downstream and then back towards the falling water. Wave/Lateral: This is caused by a constriction of flow (river narrowing) or off an obstacle. Waves on big volume rivers should be paddled through straight! High Water: After rains, monsoon or snow melt run off. 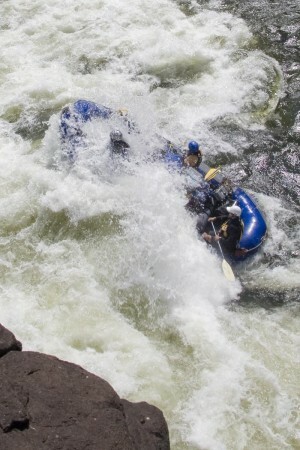 The river moves faster at high flows and makes some rapids harder (such as the Coruh) and some easier. Low Water: Lower than average river levels which normally happen at the end of the rafting season. 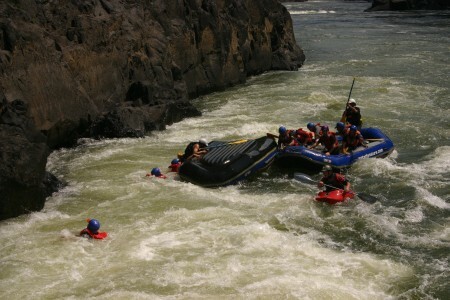 Some rapids are more challenging in low water such as the Zambezi. Drop-Pool River: After a rapid, there is a calm pool to regain composure before the next rapid. The Grand Canyon is a good example of a drop pool river. River Right: The right side of the river as you look from upstream towards downstream. River Left: The left side of the rivers as you look from upstream towards downstream. Paddle: Composes a blade, shaft and t grip that clients use on a raft to propel the boat. Guides may use a paddle also to steer the raft. 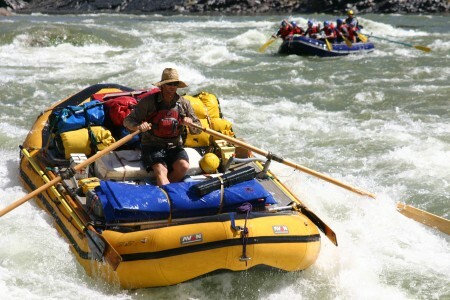 Oar: A large 9-12 foot device that guides use to steer and propel rafts. Extra power is possible using oars rather than paddles. PFD: A personal flotation device used for floating paddler if they take a swim. Safety Boater/Kayaker: A person paid to paddle down in front of the rafts to offer support or advice in the event you swim. An accepted safety standard at this point in time. Paddle Raft: 4-8 paddlers on a raft. They propel the boat to manouvre it around the river and away from hazards. Guided by an experienced paddle raft captain. Sterny: Similar to a paddle raft, except the guide will sit at the back using 2 oars for extra power on big volume rivers such as the Futaleufu. Bowline: Attached to the front of the raft to tie the raft to shore when camping or leaving the raft while scouting. Also a type of knot. Bow: The front of the raft. Most rafts are symmetrical. Stern: The back of the raft, normally where the guide sits. OS Line: Outside line. A safety rope running tightly around the outside of the boat that people can hold onto in the event of a swim. Throwbag: A bag containing around 20 meters of rope that a guide uses to rescue a swimmer up to 20 meters away. Worn around the guides waist. T Grip: The end of a paddle used to help the paddler propel the paddle through the water. Paddlers should always keep hold of this. Chacos: A type of river sandal perfect for river trips. Other good quality brands include Keen. 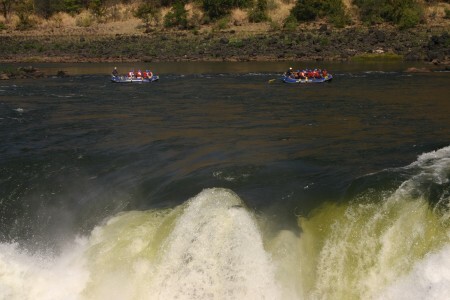 The Zam: A term used to describe the Zambezi River in Zambia. A big volume warm user friendly river. The Canyon: The Grand Canyon which runs in Arizona from Lees Ferry to Diamond Creek. a 14 days journey of 226 miles. Chilly Bin: The New Zealand name for a cooler. This is used to keep food cold or frozen whilst on an extended river trip. Cams: A camstrap used for fastening loads and frames to rafts. They vary in length from 2 feet to 20 feet long. Biner: A carabiner used for securing water bottles and such to the raft. Also essential for setting up rescue systems. Drybag: A PVC bag which can be used for storing clothes on a multiday trip or to keep small items on the raft dry. Pelicase: A plastic box varying in size to keep everything from cameras and iPods to First Aid kits and TV cameras dry. Sat Phone: A satellite telephone should be taken on all multiday trips. 3 basic varieties exist. Iridium, Thuraya and Inmarsat. Tunes Box: An addition to multiday trips where clients and guides can enjoy listening to their favourite music in camp. Trip Leader: The person who has overall responsibility on the river for all participants getting down the river safely. Braai: A Southern African Term for a barbeque. As well as large amounts of meat often vegetables are also cooked in the coals such as cabbage, Gem squash and potatoes. Long swimmer: Somebody who fall out of the raft and is further away. They can be assisted with a paddle, kayaker or throw bag to get back to the raft. Dumptruck: When the raft stands up on one side and paddlers fall out and the raft stays upright. Surf: A raft stays in a hole and can rotate and move substantially. Flip: When the raft capsizes and goes from an upright position to an upside down position. Guides carry “fliplines” to re-right the boats and get everyone back in. Safety: The overall process of how the company and guides you choose to go with, will look after you. This can also be used as a term where guides wait at a rapid with kayaks and throwbags in case of a swimmer, they can rescue them quickly. Video Boater: A person who goes down before the rafts to capture your trip as a movie. Sweep Boat: The last boat on a trip which often safety gear such as first aid, wrap kit and satellite telephone. Scout: A term used where guides and clients can get out to plot the best line through a rapid, where safety will be based. It also gives paddlers the option of walking rapids if they wish. Portage: Where craft are carried around a rapid when it is considered too big or unsafe to run. Paddling across the top of Lower Moemba - a certain PORTAGE! Wrap: Where a raft broaches a rock sideways and gets stuck on a rock or obstacle. Hyside: This is where guides want to re-distribute weight in the raft. They can either call all paddlers to jump TOWARDS a rock to stop a wrap, or towards a large wave to stop a flip. 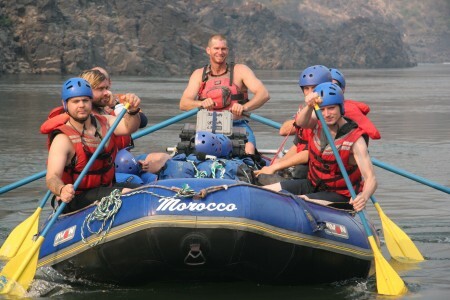 Safety Talk: A talk given by the Trip Leader before you go rafting oulining how to react and what to do if you swim. Topics covered will be swimming in the river, flips, throw bags, safety kayakers and self rescue. 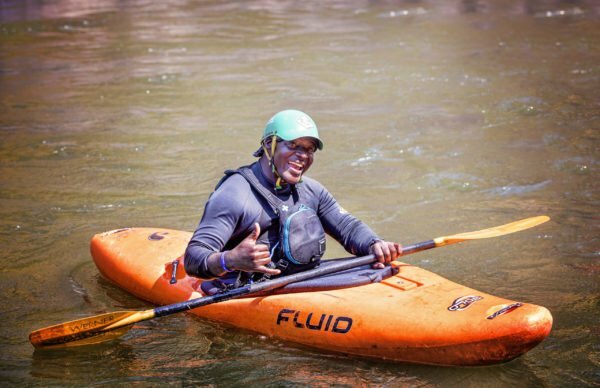 Paddle Talk: Each guide will explain paddling techniques in his/her raft. Using your boady. Forward paddle, back paddle, jump left, hold on! Ferry: The term used to describe the angle to paddle across a river. Usually at 45 degrees upstream or downstream to the current. This gives control in the river. 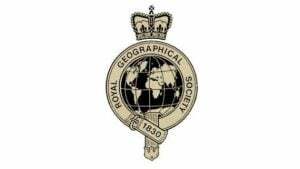 Self Rescue: Getting yourself safely to the side of the river in the event of a swim. Important to stay there until the guide comes to get you. Z Drag/Pig Rig: 2 types of “mechanical advantage systems” that guides can set up to pull a raft off a rock that may be wrapped. 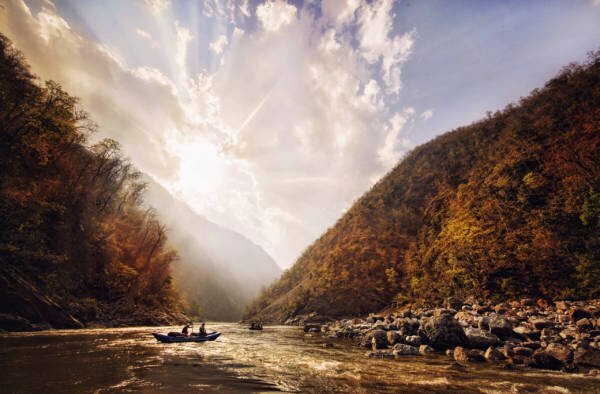 Now that you are up with whitewater rafting terminology, experience one of the world’s best whitewater rafting holidays! See you on the river!